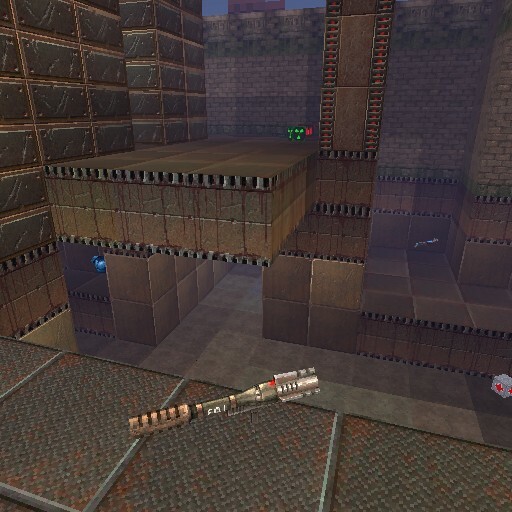 This week, we have all sorts of short or small maps, but they’re all quite different and fun! So we hope you enjoy them. A sort of small jungle and temple-like map! Don’t get us wrong, though, this map might be small in comparison to others, but it’s very well designed! You get the weapons you need, and you can also decide to jump around the map to escape, if you prefer that. 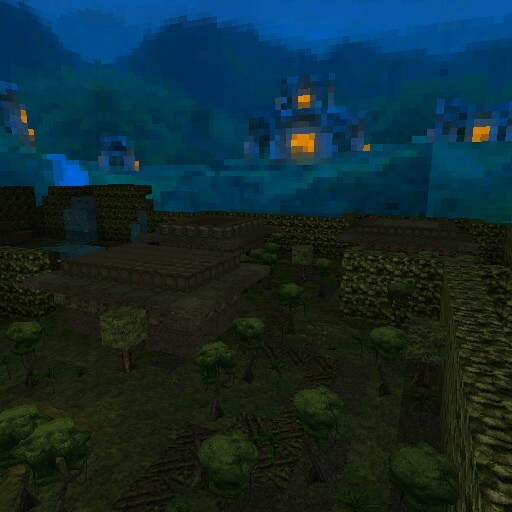 Plus, this jungle also comes with a temple area, and yes! You can get inside the temple, and maybe you’ll find a secret there. Maybe. This map is basically what the name says: a death bowl. It’s a small coliseum or bowl type of map, where you get a really big variety of weapons (really, there’s something for everyone here! 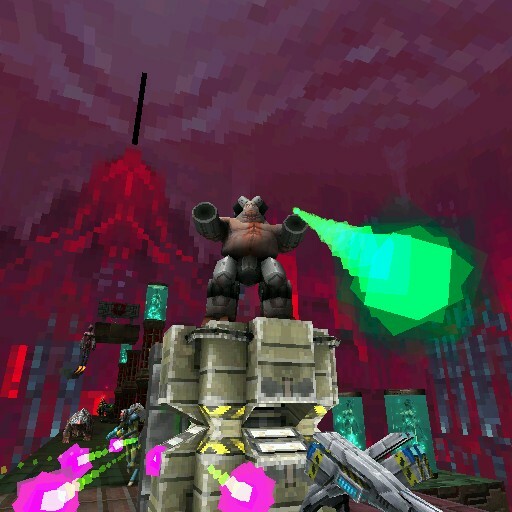 ), and you’ll have to jump and run around the map to kill your enemies. While the design is pretty simple, this kind of mechanic is always fun and it’s suitable for both small and large groups of people. The third part of what promises to be an interesting campaign. This campaign makes you feel like you’re jumping different dimensions or worlds. Each part basically uses a different theme, and makes you fight different monsters and bosses. While each part is small, it can be quite challenging, as you’ll only get limited resources, and some parts even include traps and parkour! 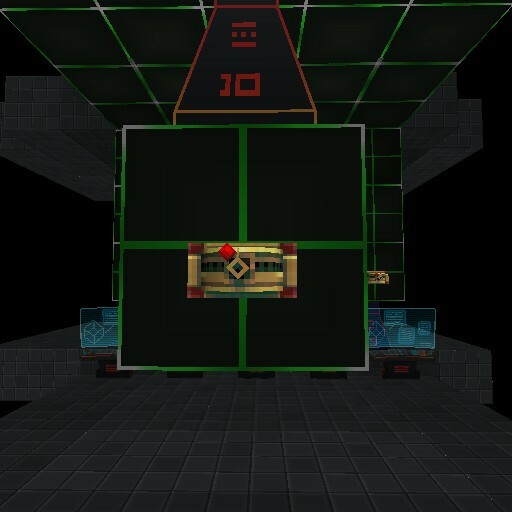 Another map by this creator, and it looks like they have lots of good ideas! This one is a sort of prehistoric jungle map, and we love it. As an actual jungle, there’s a chance you might get lost in this map. You have to go back and forth a lot and solve puzzles to be able to progress, and well, of course, avoid some traps in your way! A short but fun map. This map is quite interesting. In design and look-and-feel, it’s a bit different to what we usually see. It does have some portal mechanics (made with our teleporters), and well, it reminds you of the game as well! While the map is only a few rooms, and you might finish it fast, it’s the aesthetic what got our attention, and making us realise that a Portal map is totally a possibility! We’ll be playing on Steam again! We’re loving all of these new TF2-inspired maps! This is another team map that allows you to pick a “class”. Get your weapons and go out to the sort of desert-y arena in the middle of the map. The arena is quite big too, so you’ll get plenty of space. Plus, this map lets you pick any type of team map, so if you would like a map where you can play deathmatch as well as capture the flag, this is for you. 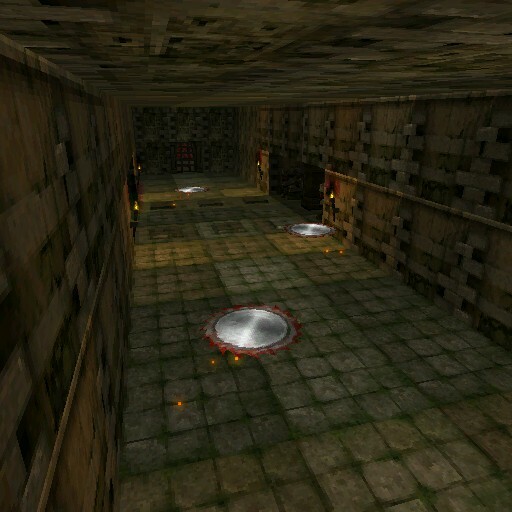 Looks like people really enjoy Quake 3’s DM10 map, well, we do as well! This Q3 inspired map is all you need to have some fun with your friends. While the look and feel is quite simple, the design is similar to the original, so the way everything is placed works pretty well! You’ll also get enough weapons, and a nice variety of them, it’s all about exploring to get all of them. 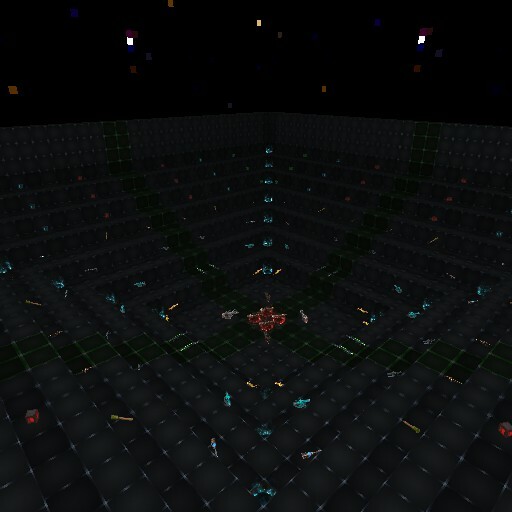 This map is basically an arena in the middle of space! 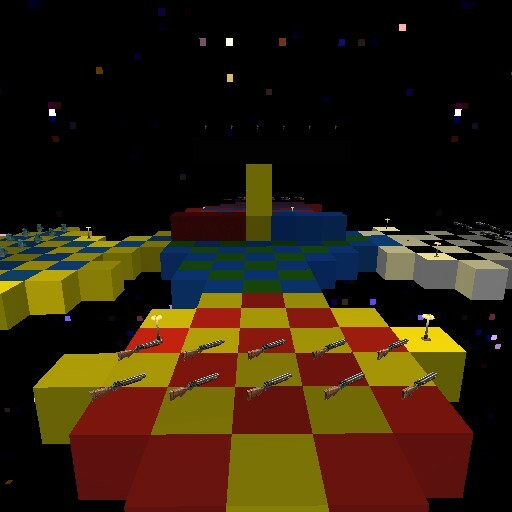 With 4 different “areas” connected in the middle, this map allows you to jump around and get 4-5 different types of weapons. But be careful! Like we just said, the arena is in the middle of space, so it’s very easy to fall to your death, especially with how small the arena is! But that’s what makes it a challenge, right? This map is quite short and straightforward, but it packs a lot of fun! 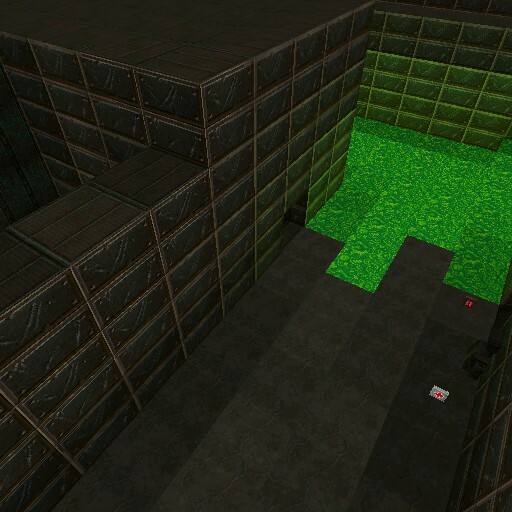 If you want a short co-op map with a zombie theme that will have you killing quite a few enemies and a boss, then this map is for you.